Badlands of South Dakota. Photo © by Judy Wells. Combine Indian fry bread and taco filling for a satisfying treat. 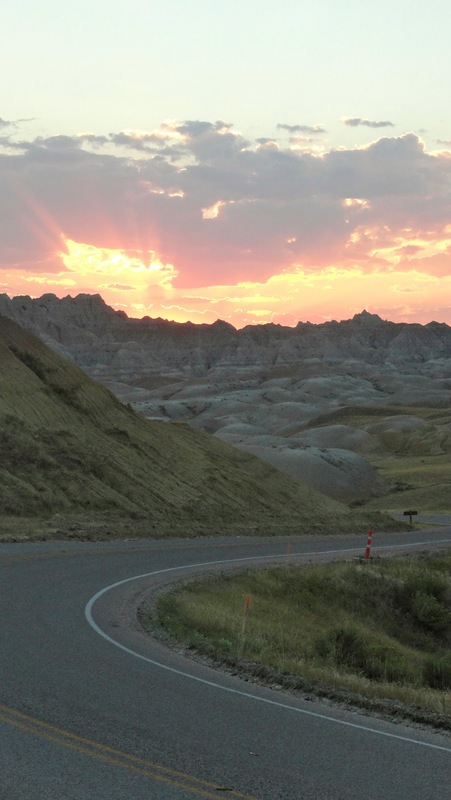 At the beginning of the 2012 inaugural Good Girls in the Badlands Road Trip, Debi Lander and I were so busy photographing the eerie landscapes (and wiping away the sweat from 105-degree temps) we forgot to photograph our first lunch in the Badlands of South Dakota. In our defense, we were also very hungry. Which is a long way to explain why there's no photograph of Indian Tacos. A shame because the Cedar Pass Lodge Restaurant produces a great one that looks as good as it tastes. Theirs is made with buffalo meat, which I recommend, but beef can be substituted. Mix ingredients together. Using a big spoon, drop dough onto a floured surface and pat down to about an inch thick. Fry in 1 to 2 inches of oil at 350 degrees (f) until golden brown. Drain. Brown meat, stir in refried beans and taco seasoning. Spread meat on top of fry bread. Top with cheese, lettuce and tomatoes. Make it even better by adding guacamole, sour cream and salsa. Note: Get ready for some good Southern cookin' recipes because the Good Girls are invading Georgia this year. Sunset in the South Dakota Badlands. Photo © by Judy Wells.